Quinta da Senhora da Ribeira cellars are the most modern in the Douro, without forgetting to combine the best traditional winemaking traditions, developed through the centuries. 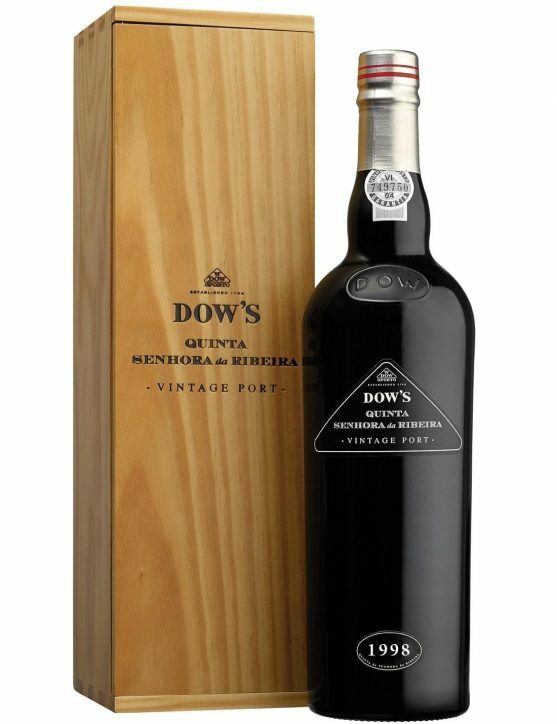 The care taken with the cellars is reflected in the Quinta da Senhora da Ribeira exclusive bottling, where Vintage Port has a distinction place. Bottling manifests superb quality and a formidable exuberance. Dow's Senhora da Ribeira 2006 Vintage Port is quite full-bodied with strong, although immature, tannins. 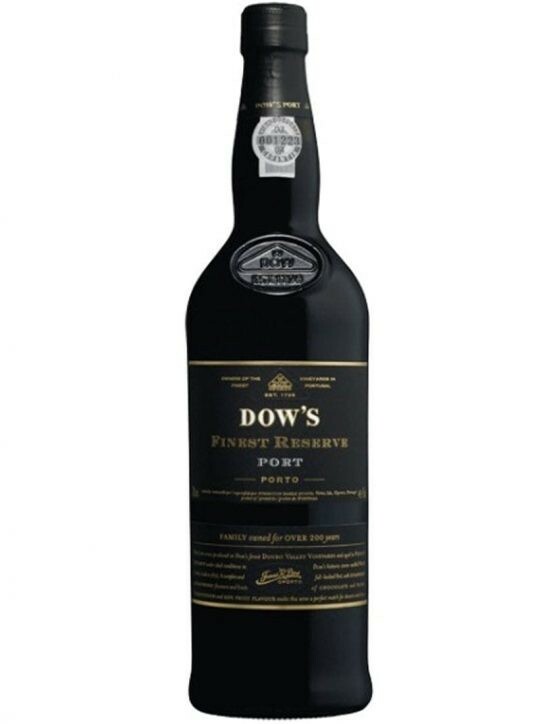 With wild berry flavours that grants it the dark, black opaque colour. With a mystical aroma, marked by tobacco notes, herbs and fresh spring flowers. 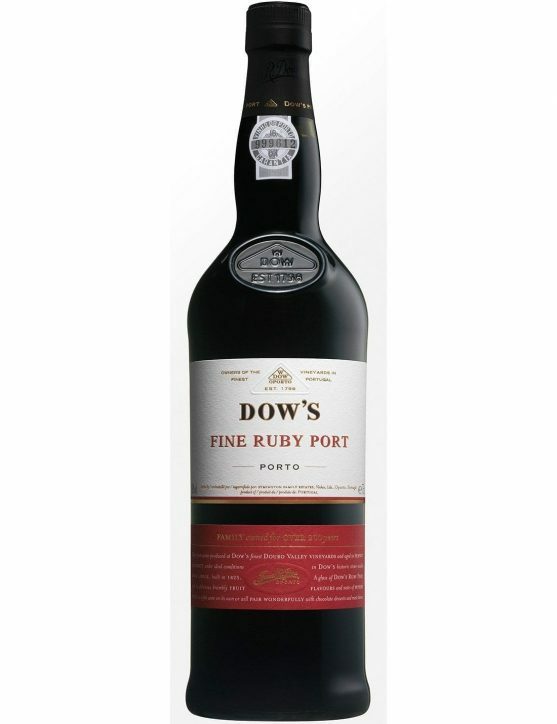 Dow's Fine Ruby is a Port Wine created from a wide variety of grapes from Douro Valley. This wine is aged in oak barrels for approximately 3 years and it can be served right after their bottling, which means it is not necessary to age in the bottle. 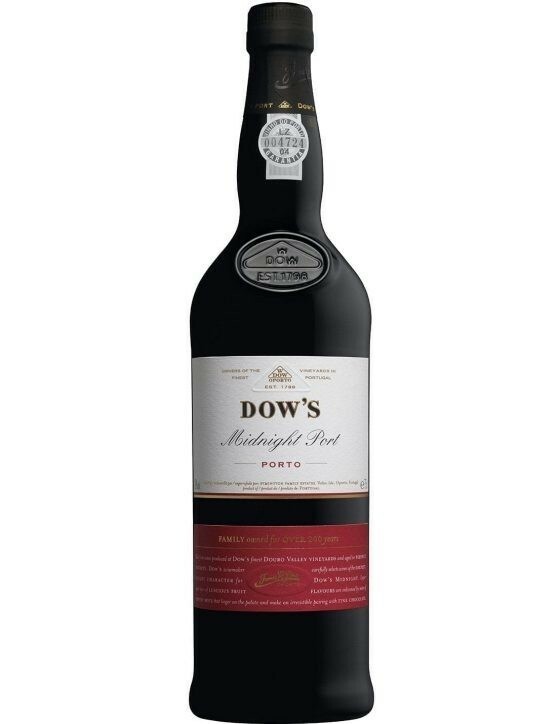 Dow's Midnight is a young and vigorous Port Wine, which make it fresh and with more mature aromas of red fruits. This wine was thought to attract the younger crowd with its great balance of fruit. 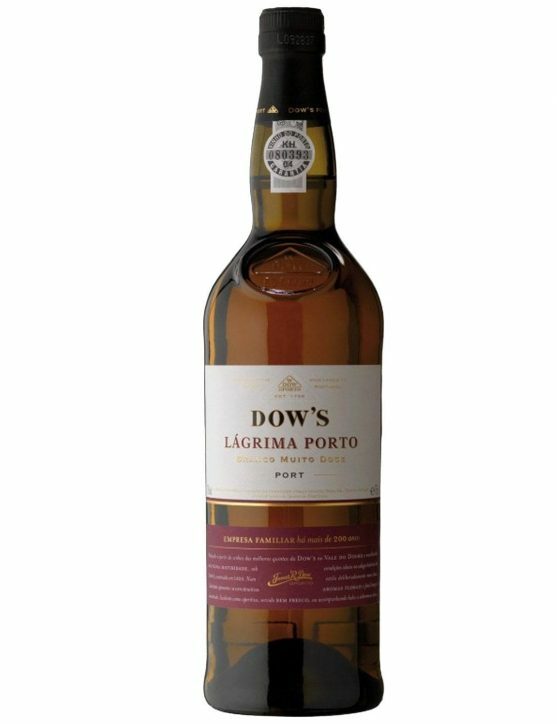 This Dow's was produced only through the best wines from Dow's farms, including the Quinta do Bomfim and Senhora da Ribeira. 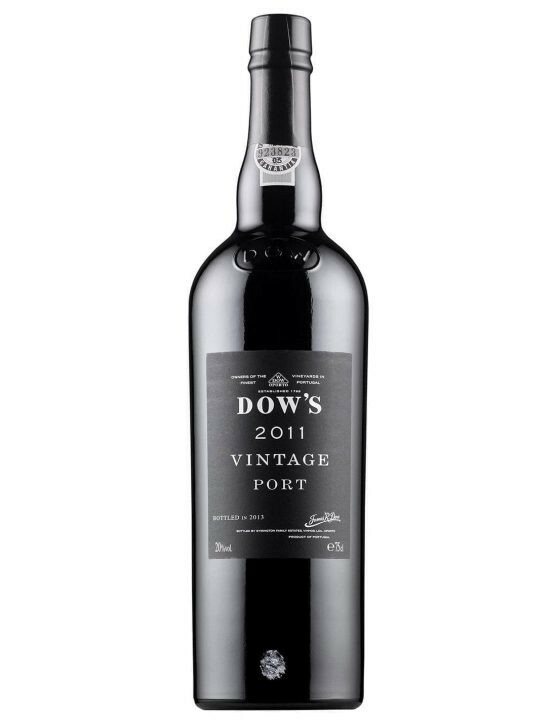 Dow's Finest Reserve Port comes from a careful selection of the best aged wines that are in perfect ripening stage to create this Finest Reserve. 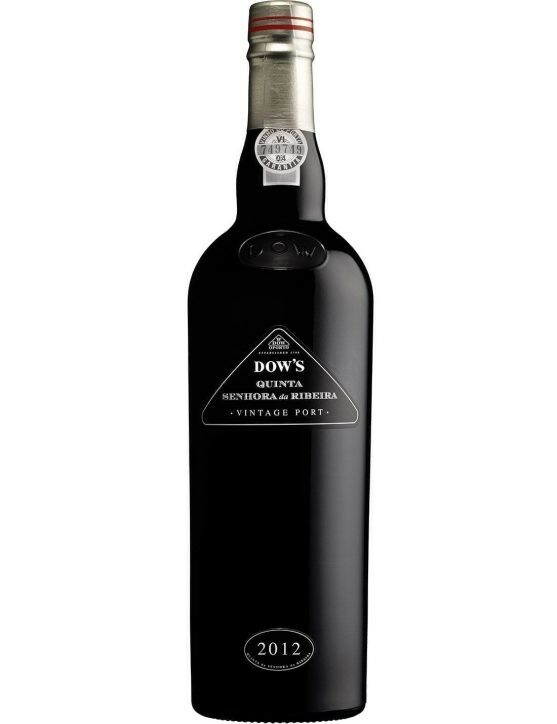 Concentrated and rich, Dow's Finest Reserve Port Wine has great depth features and softness. This Port has a distinctive house style that has been acclaimed worldwide. A refined classic, full-bodied with fruity layers that let us perceive red and black fruit aromas. The fruity character also gives it a deep ruby colour. Palate dominated by berries and spice hints, especially pepper. 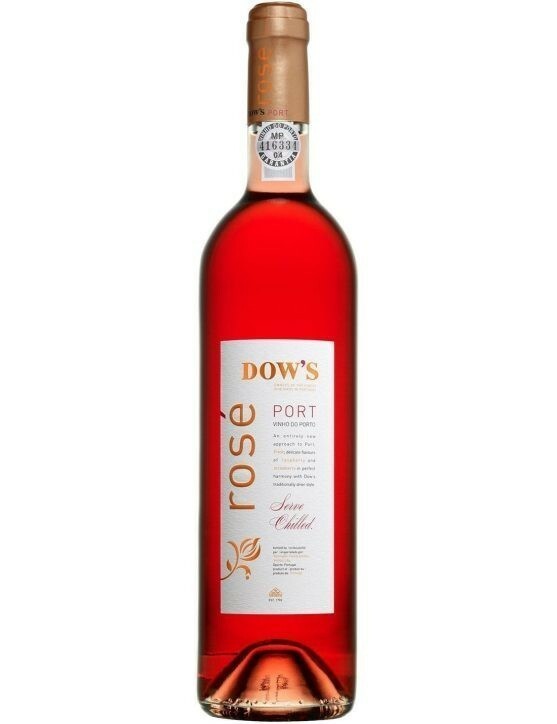 With a long and slightly dry mouth finish that is a hallmark Dow's wines. 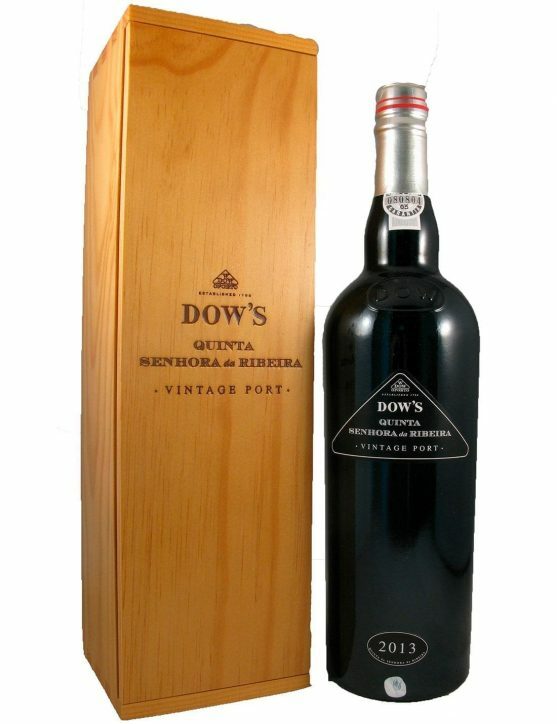 Dow's Senhora da Ribeira Vintage Magnum de 1999 is produced from grapes harvested at Quinta da Senhora da Ribeira which is one of the largest vineyards in the Douro, considered one of the best harvests of the century, a prodution from high quality grapes, assigned with a rate of A. Intense aromas of ripe red fruits, notes of violets and roses. This wine is really fruity and the aftertaste is powerful and elegant due to well-integrated tannins. 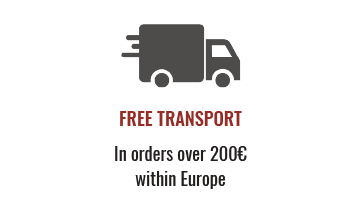 Being a wine of the highest quality you can not miss the opportunity of getting the 1, 5Lt Edition. 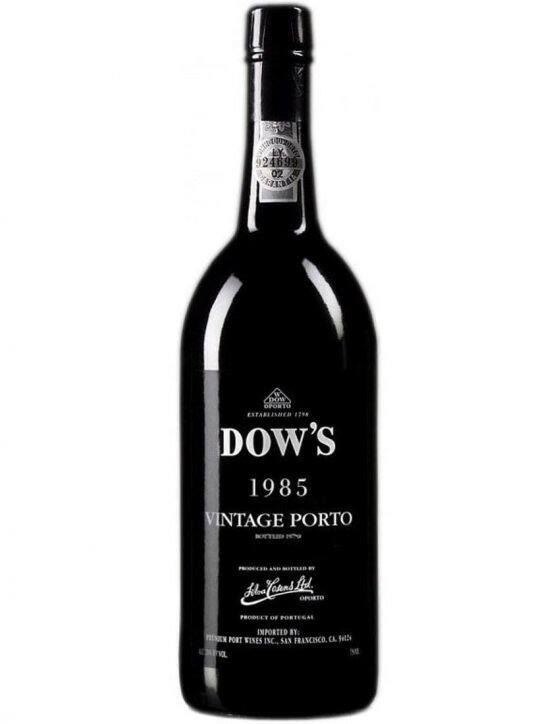 Dow's 2000 Vintage Port Wine is considered highly robust. Its colour conveys this particularity, a deep violet, so dark that causes blue and black reflections. Plum and cassis aromas, liquorice on the palate, spices and ripe fruit make this wine amazing. Full-bodied, slightly moderate Port, with dark fruit, great depth and structure. Firm tannins with medium finish with a typical, drier and spicy style. 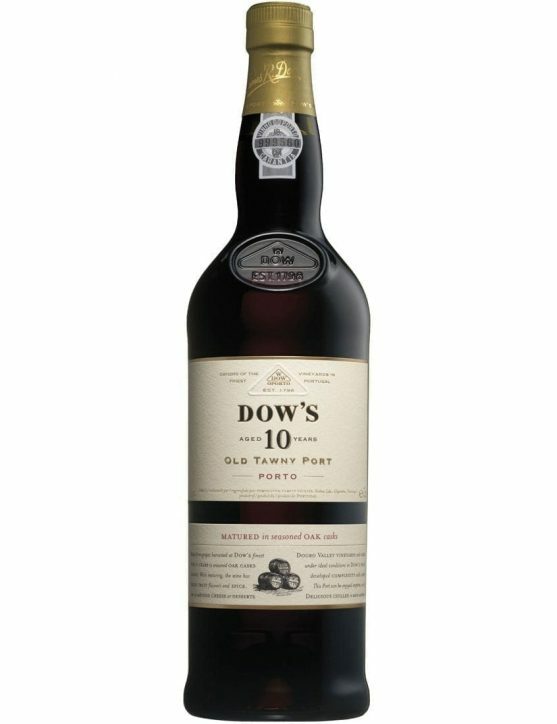 Dow's Tawny combines subtle fruit with delicious velvety nutty flavours derived from the cask ageing. 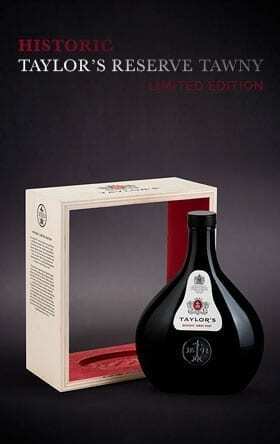 It is ready to drink and enjoy when bottled and does not require further ageing. Dow's Tawny Port Wines are considered the ultimate expression of the oenologists' art. They can take care of wines for many ageing years in oak casks, given the knowledge and experience they possess. 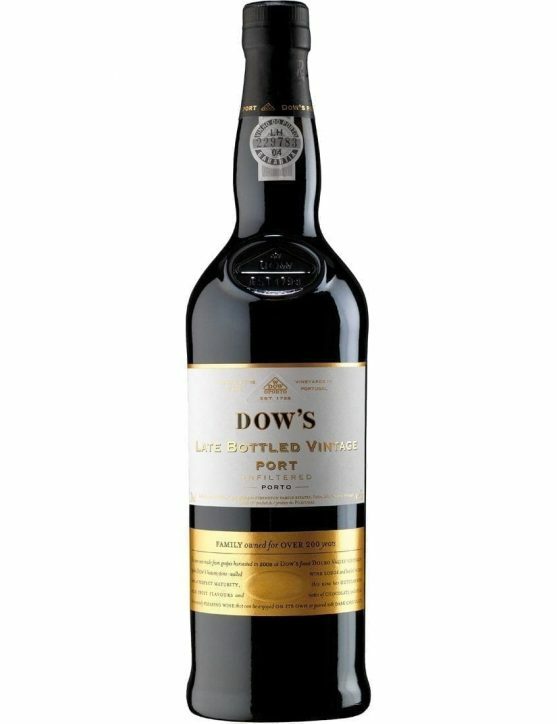 Only some Port wines are able to age for 30 years, and only 6 or 7 casks from Dow's cellars in Vila Nova de Gaia are available. In order to be bottled, the remaining casks keep on ageing until they reach the excellence that the wine maker desires. A highly concentrated wine in its aroma, where nuts, such as walnuts, are distinguished. Great complexity flavour with its own style. 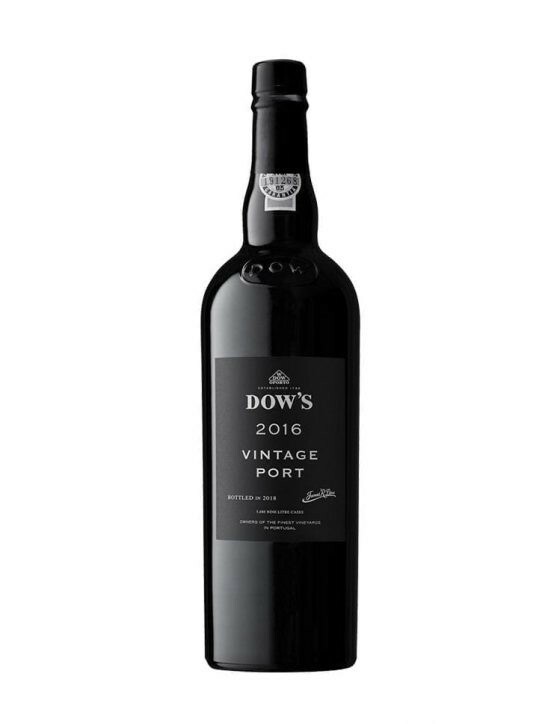 Fresh and persistent mouth finish, only possessed by these wines since Dow's Old Tawny Ports are particularly good when drunk slightly chilled in hot weather. 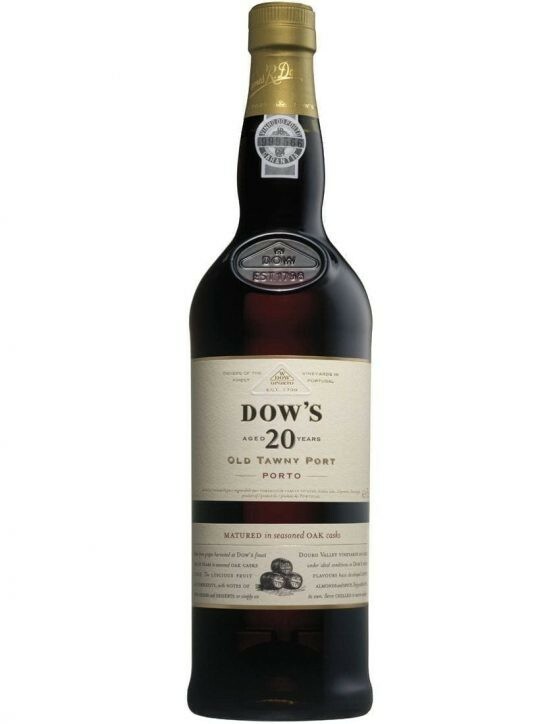 This Dow's 30 Years Tawny Port has a wonderful balance between wood with dried fruit and raisins' aroma. Award-winning wine with three gold medals. 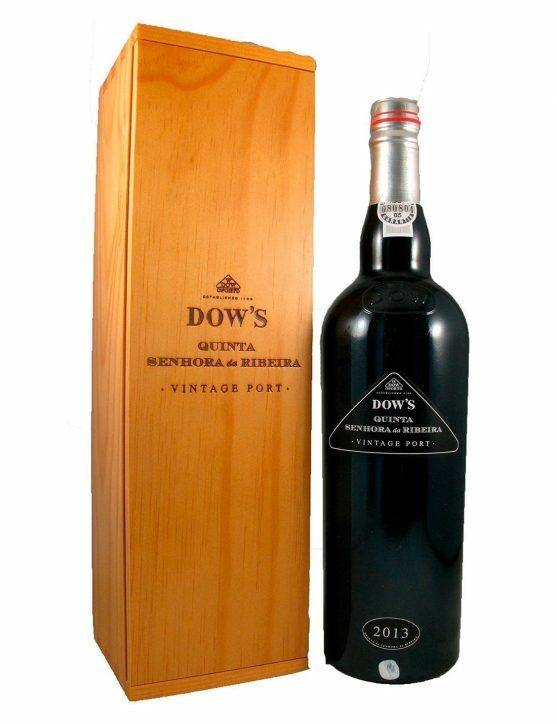 Dow’s Senhora da Ribeira Vintage 2010 is a Port Wine with origin in Quinta da Senhora da Ribeira, in which were produced only 4200 bottles. 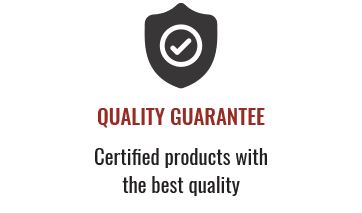 It is a wine that was not filtered before bottling and it has a great potential to age more than 30 years, intensifying its aromas and flavours. Harvest Port wines are tawny wines of a single year aged in oak barrels for at least 7 years befor being bottled. Being wines from a single harvest, each year's personality is reflected in the wine itself. Dow's Harvest 2002 is a Port Wine from the best batches of 2002 harvest, that aged in wood casks at Dow's warehouses in Vila Nova de Gaia. 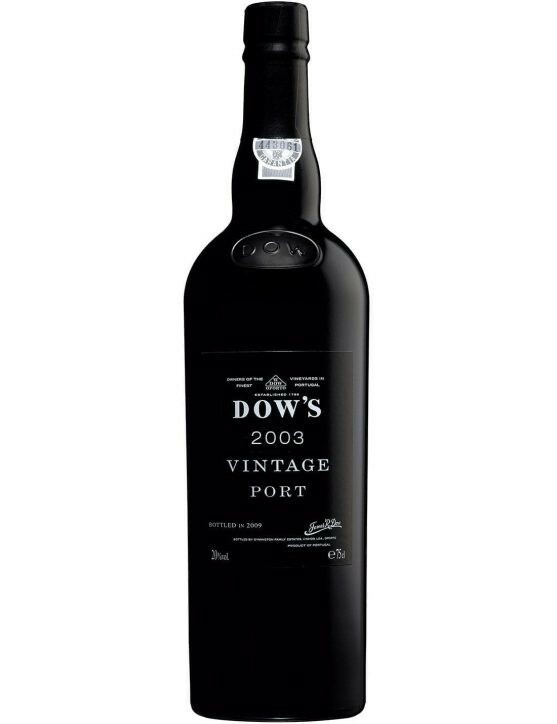 Dow's Vintage 2003 is a Port Wine with a dark and intense colour, light and diverse aromas of rock-rose. 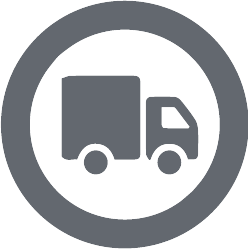 It is a wine with strong tannins and rich fruity flavours with hints of dark chocolate and pepper. 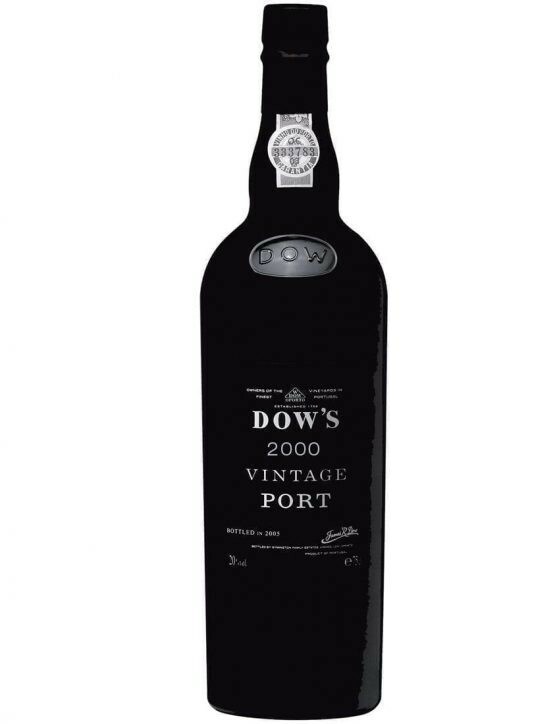 Dow's Vintage 2003 is a wine with great ageing potential so do not miss the opportunity of adding it to your wine cellar. 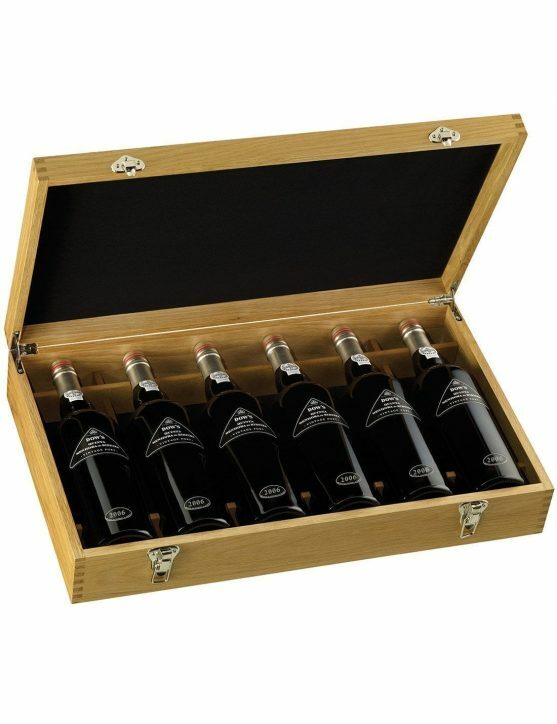 Harvest Port Wines are Tawny wines of a single year, aged in oak barrels for at least 7 years prior its to bottling. Being wines from a single harvest, each year's personality is reflected in the wine itself. 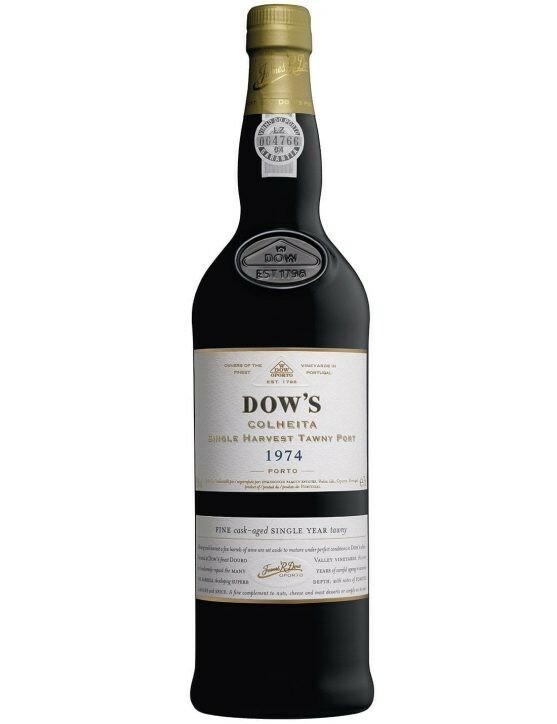 Dow's Harvest 1974 is a Port of one of the best 1974 batches, that aged in wood casks in Dow's warehouses at Vila Nova de Gaia.